When it comes to denim, it’s all about the skinny jean for me. I just love how they make my legs look. Plus, they work so well with heels and flats. One of my favorite places to shop for form fitting skinny jeans is Lane Bryant. 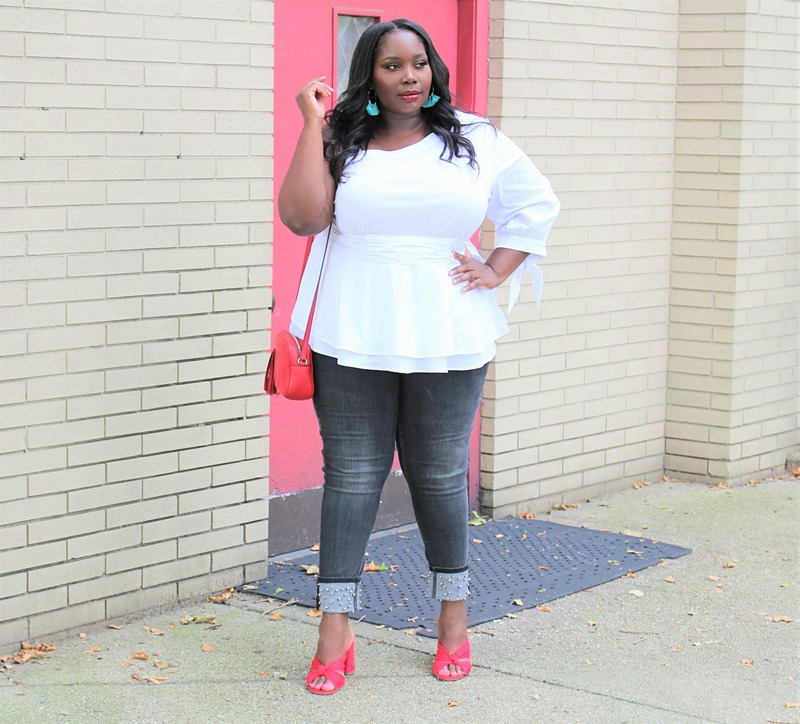 They have some of THE BEST jeans for plus size women. Seriously! Every year they give their denim styles and upgrade and this year there are a slew of new styles that are must have’s. 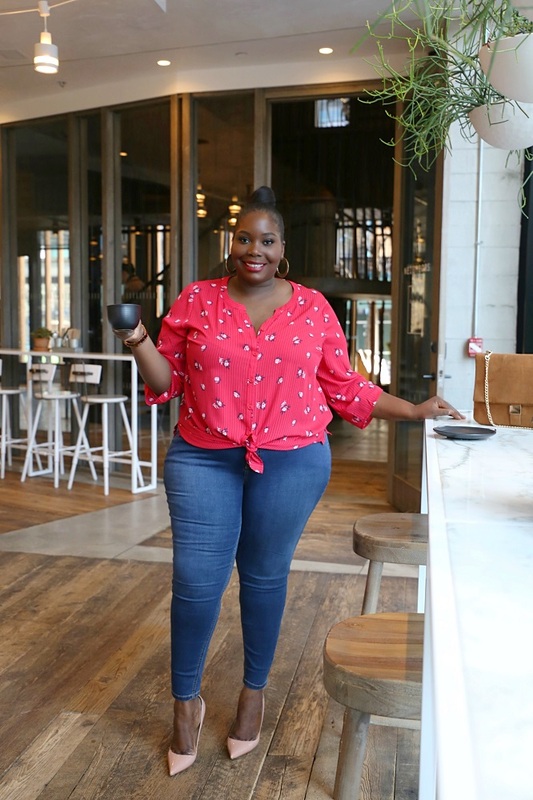 This month, I’ve partnered with Lane Bryant to show you one of my new favorite jeans from their Power Pockets Super Stretch collection. The super stretch collection fits so comfortable and they’re so stretchy that you will need to go down one full size. My favorite pair from the collection is the faux pearl cuff ankle jean. The jeans have a black and grey tone and the ankles are embellished with small pearls. When I slipped them on they fit my curves like a glove. I’m so use to wearing dark blue or light blue jeans that the black and grey wash was something refreshing to add to my wardrobe. Also, they’re super easy to style. I found this one shoulder poplin peplum shirt from Lane Bryant. The shirt complimented the jeans perfectly. I love this top so much. It’s so classic yet kind of trendy. What do you guys think? I paired the outfit with these beautiful faux suede red open toe mules also from Lane Bryant. Before I forget, make sure you checkout Lane Bryant’s shoe section. There are some snazzy pairs that are perfect for summer and going into the fall. 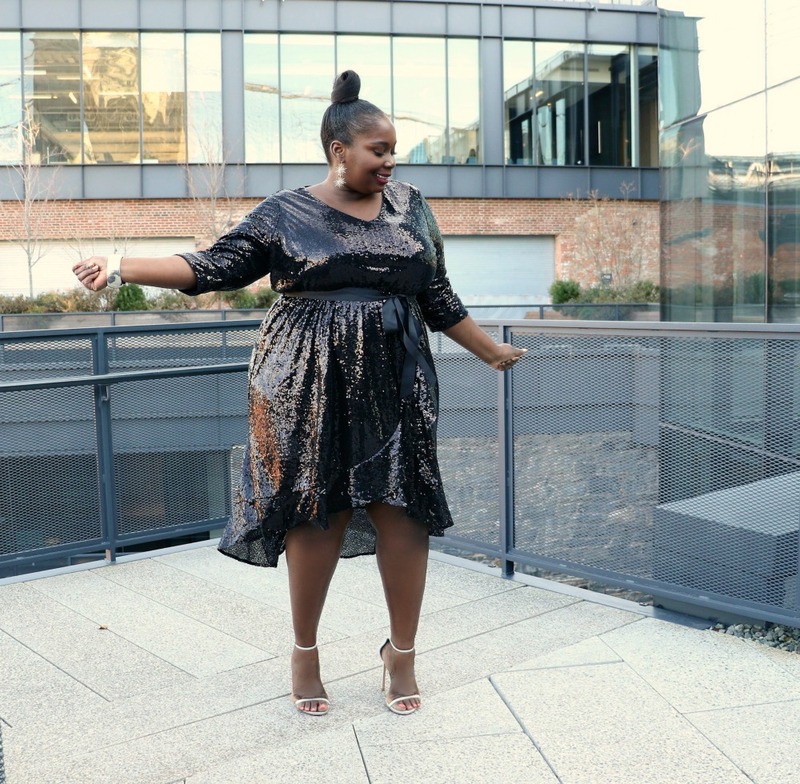 You can checkout Lane Bryant’s new plus size denim collection HERE. I read this article and found it very interesting, thought it might be something for you. 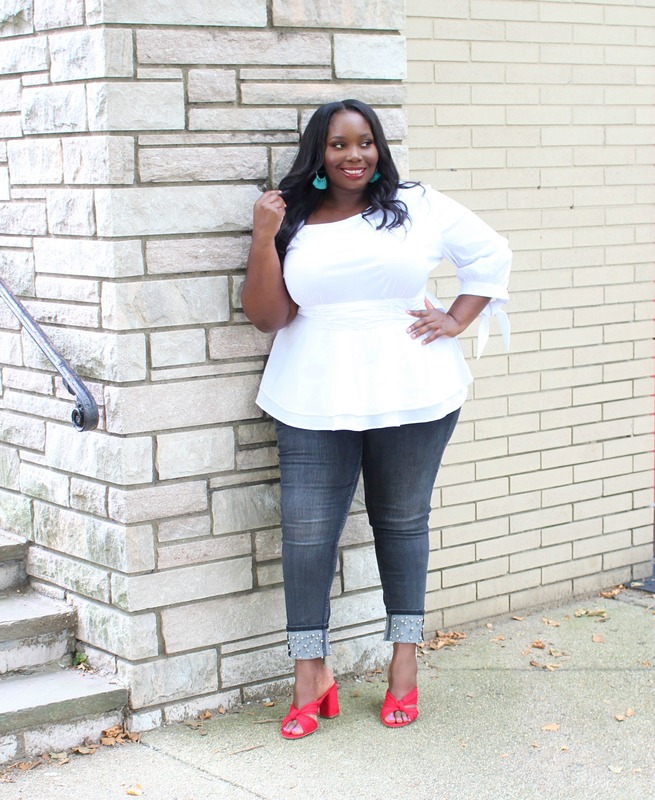 The article is called These Are Not Your Average Plus Size Jeans and is located at https://stylishcurves.com/these-are-not-your-average-plus-size-jeans/.